Cook’s Illustrated had a small set of instructions for “How to Make Perfect Bacon”. While baking bacon has been widely proposed (see related works), here we will only examine wet vs dry pan-based techniques. How much shrinkage happens to bacon when it cooks, and how do different cooking methods impact this? The basic equipment other than a pan + heat + bacon hunger. If desired, wine can be included as an optional equipment set. It will not impact the bacon experiment, but could make waiting for bacon more enjoyable. Due to the wonders of modern food production, all bacon slices were initially the same size (10″ long and 1.5″ wide). Length2 and Width2, given below, are the measured dimensions after cooking. 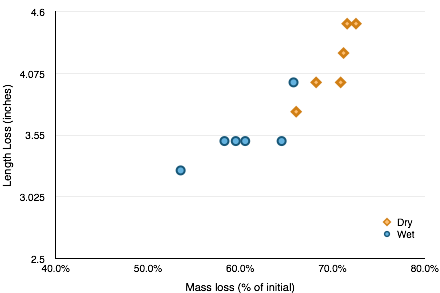 Plot showing the Length loss and Mass loss (as a % of initial mass) of bacon cooked by different methods. An interesting observation is that the time needed to cook the bacon seems to decrease significantly with the later batches. 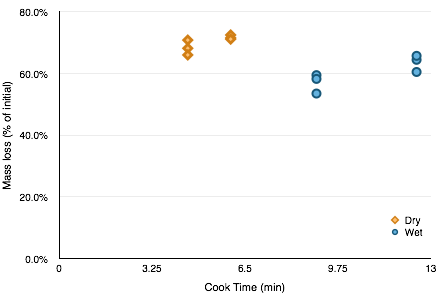 The table above shows the batches in the order they were cooked, and Plot 2 shows mass loss versus cooking time. Overall the wet method was slower (12.5 and 9 minutes) than the dry method (6 and 4.5 minutes), but the later iterations took significantly less time for both methods. This could be a combined function of the pan and burner being fully up to temperature as well as the bacon being pulled at a slightly less done state (represented by reduced mass loss). As for testing the claims of texture and taste: Taste testers A and B preferred the wet-cooked method, while Brownie Master P preferred the conventional dry technique. However, this “boiled down” to basic bacon preferences (medium vs well done). 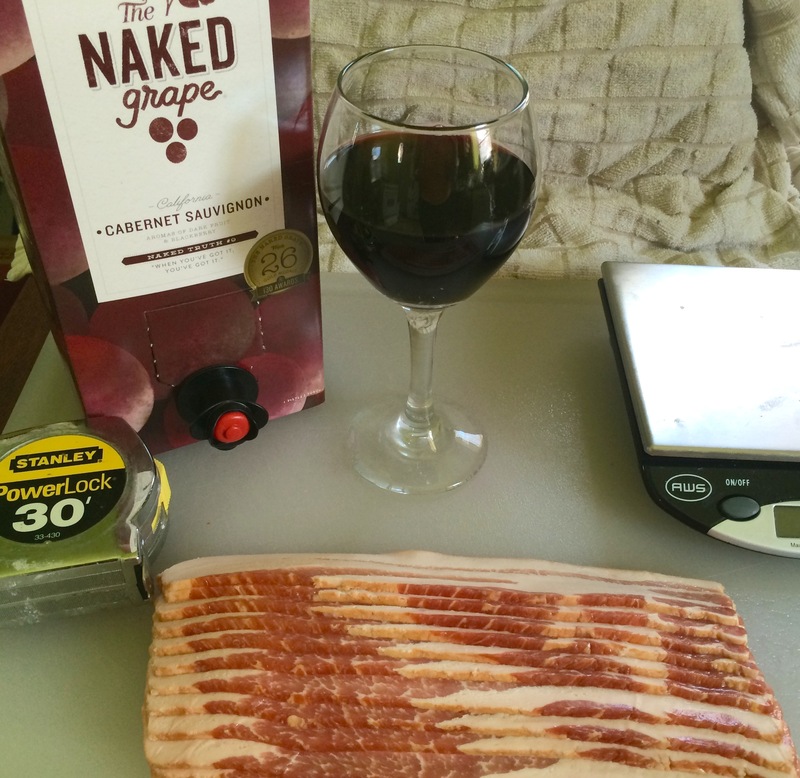 It was much easier to overcook (in my opinion) the bacon via the dry method. While the wet-method bacon did indeed suffer less shrinkage, they seemed to be less done in general. The promise that the wet-cook method would render out most of the fat during the first step did not seem to be the case, as the resulting bacon seemed under-rendered. As the locally procured bacon was on the thick-side, that may have contributed to that result. Potentially even longer cook times would be required to produce well-done bacon via the wet method. The long cooking time of the wet-method could be a benefit by allowing more time to fine-tune doneness (or for getting distracted without resulting in burned bacon), but I am unconvinced that it is the bacon-cure-all. 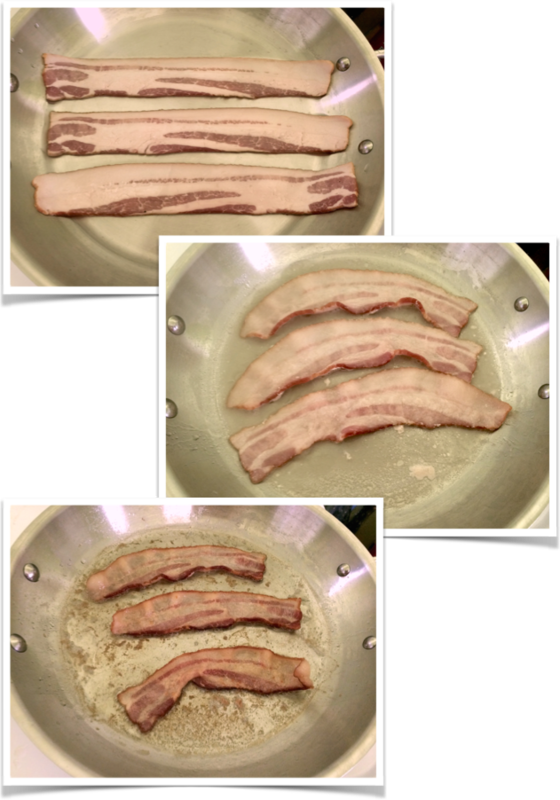 How do these techniques compare if you cook the bacon strips to the same mass loss? 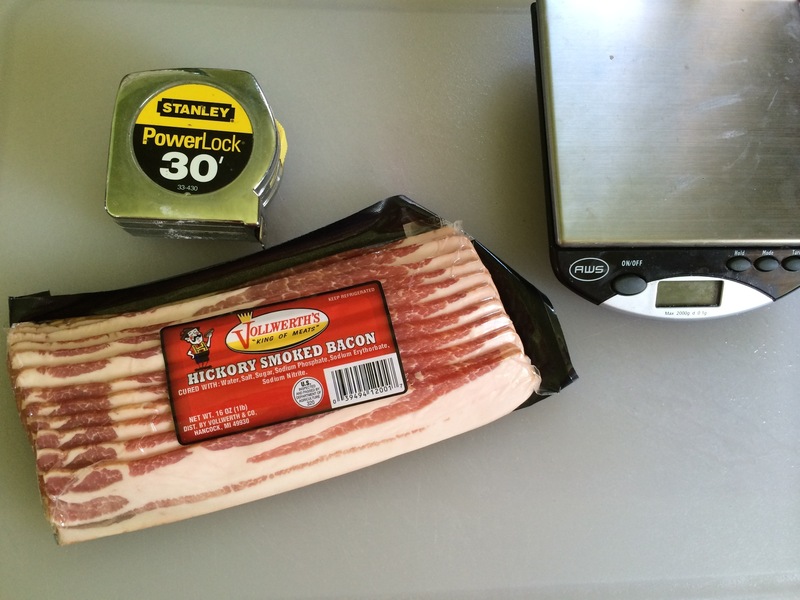 How does bacon thickness alter the various cooking processes? Bacon cooking steps using the wet method. Raw bacon at the top, bacon as the water is cooked away, and then nearly finished bacon at the bottom. ← Egg-speriments take 2 !